Moldova IT Summit 2018 will gather government, academia, development partners and renowned international experts on April 23 at the Tekwill Center, starting at 9:00. The Moldovan Information and Communication Technology (ICT) is an emerging sector which has experienced severe shortage of qualified staff. In order to solve this problem and create a solid foundation for the further development of IT entrepreneurship, it is imperative to coagulate the efforts of all stakeholders interested in identifying, defining and implementing ICT-impact education solutions, programs and initiatives capable of developing the ecosystem necessary for a qualitative growth and to give our country an indisputable competitive advantage. Thus, this edition of the ICT Summit will be dedicated to ICT education and ICT implementation in education. In the event will be discussions regarding unprecedented opportunities to exploit our country's potential intensively. 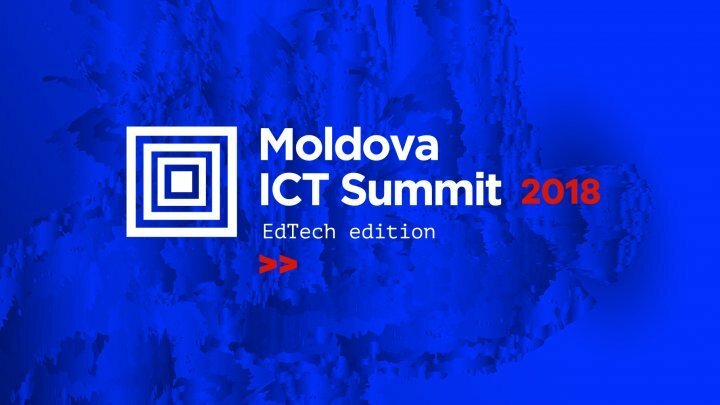 Representatives of Moldovan Government and the private sector, international experts from the Khan Academy, Oracle and other influential organizations, will participate in the event in order to share the experience and knowledge based on best practices in the field, while Moldova approaches the Fourth Industrial Revolution. Also, a series of major initiatives for the educational system in the country will be launched: the TwentyTU Project, the Eastern Partnership Joint Programs, the Tekwill Innovation Center National Network. Participation in the event is free of charge and registration available on www.moldovaictsummit.md. For any further information, please write to summit@ict.md.